I believe it was stated by daniel that one of the reasons the old Tomorrow People is better than the new one is because the old series included ethics. Is ethical behavior intrinsically tied to making use of 3D time to affect the physical? I thought SMs also have a conscious presence in 3D time, but they channel that knowledge into technology? How is it possible for them to use c-atoms for power? I suppose also, since this is their free will choice, a Voldemort could potentially exist even though he has no ethics in and of himself. Andrew wrote: I believe it was stated by daniel that one of the reasons the old Tomorrow People is better than the new one is because the old series included ethics. I haven't seen the old series of "Tomorrow People" have seen the new one that was meant for younger people mostly. I would imagine that there was ethics involved in the older series though. Andrew wrote: Is ethical behavior intrinsically tied to making use of 3D time to affect the physical? With Yin & Yang in mind there is ethical and non-ethical that both would use same 3D time as their tool. This is what differentiates good and bad wizards and wiches IMO. Andrew wrote: I suppose also, since this is their free will choice, a Voldemort could potentially exist even though he has no ethics in and of himself. Come to think of it maybe even Voldemort did have ethics, as in knowing of right and wrong, he was just thinking of himself and "f" everyone else. Thats how I would see him at one point when imagining to be a bad guy. 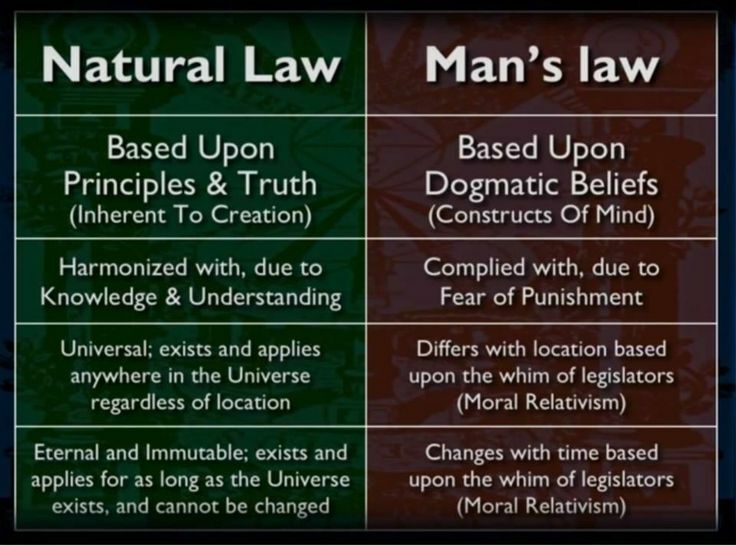 Almost everything that you do in this world is right or wrong only the point of view changes: laws, morality, nature and religion. It is wrong to pray at other gods, for one. Ridiculous. Come to think of it maybe even Voldemort did have ethics, as in knowing of right and wrong, he was just thinking of himself and "f" everyone else. That's how I would see him at one point when imagining to be a bad guy. Almost everything that you do in this world is right or wrong only the point of view changes: laws, morality, nature and religion. It is wrong to pray at other gods, for one. Ridiculous. I am referring to objective right and wrong. Voldemort doing what's best for himself by murdering and attempting to enslave magical and muggle-kind is not objectively moral. He may think what he was doing was right for himself, but it is at the expense of others. That is called moral relativism, and it is based in fear-based consciousness, ignorance of truth when presented with it, leading to confusion and internal anarchy and self-loathing. Off topic but his your animated gif signature necessary? I find it invasive if not spammy..
Andrew wrote: I am referring to objective right and wrong. True that. Still there is positive and negative sides in all, because thats how we "roll". Not sure if most of the SMs are absolutely evil. Maybe thats why their numbers are so limited even or they are just so spread all over several per a planet with millions of slaves. Just had a memory about the Goa'ulds in SG-1 series. Lets think of it this way say we create some slave that at some "miracle" as in some "evil" scientist gives those slaves a consciousness and then they rebel against us and eventually kick us away from our reclaimed "home". I as a master of those slaves would be seriously mad, because the way of life would be ruined and I would need to do all those mundane things myself. I think you get my meaning here. Maybe they all know it is wrong, but still do it out of pure spite. Andrew wrote: I believe it was stated by daniel that one of the reasons the old Tomorrow People is better than the new one is because the old series included ethics. Is ethical behavior intrinsically tied to making use of 3D time to affect the physical? Ethical behavior is tied to honor, using the medieval definition (how many NWO types force you to refer to them as "your honor," when they are some of the most dishonorable people alive?) Honor allows one to walk in the Other Realm, the biological level of the cosmic/3D time realm. Andrew wrote: I thought SMs also have a conscious presence in 3D time, but they channel that knowledge into technology? From what we were able to determine in the Scientific Underground, they are a group consciousness in 3D time--not individual--much like the head of an octopus with its tentacles manipulating space. They cannot manipulate those with an individuated presence in 3D time, and have to resort to technological trickery to do it. Andrew wrote: How is it possible for them to use c-atoms for power? By trapping souls. Smartphones are the bait on the hook for that trap. Dark wizards are ethical people and know how the system works. Filmmaker portrayals are seldom accurate. They understand that life is based on death; you cannot survive by eating only rocks. There are two types of dark wizards: those that actively take power from others, and those that trick others into giving them power. Voldemort did a bit of both, as he had followers. This leads me to believe that one can reap the cosmic benefits of honor so long as they actually believe they are honorable and the notion is reinforced by others even if through fear and coercion. Is the "light side" really stronger then, because of its genuineness? For example, honor through standing up for what's right, acting for justice, and all that is embodied by the sacred masculine principle. This sounds like Yaldabaoth that ensnares the Earth, but maybe that's just what we call the phenomenon, because of their presence here. This octopus with tentacles that connects all those non-individualized consciousnesses is just how a hive mind looks like in 3D time. Would it look somewhat similar cosmically in other species, like ants? How is it possible for them to use c-atoms for power? Could you elaborate? Do you mean trapping souls by keeping people preoccupied with their phones everywhere they go, keeping their attention on surfing the internet, letting it do their thinking for them, the constant bombardment of ads, cheap facebook opinions where very little critical depth of thinking is ever reached? In other words, they are trapped in believing the superficial is reality. And so, in a way, they can be bribed with material ideas easier, I'm guessing. Or is there something more devious physically in them than just the metaphysics of unconscious hypnotism? daniel wrote: Dark wizards are ethical people and know how the system works. Filmmaker portrayals are seldom accurate. They understand that life is based on death; you cannot survive by eating only rocks. There are two types of dark wizards: those that actively take power from others, and those that trick others into giving them power. Voldemort did a bit of both, as he had followers. This was what I was thinking, but could not get to type it in on my post back there. Gotta work on it or maybe I just simply cant even get it right ever cuz not my nature to be a such a good story teller. I always get all things wrong when I try to explain RS terms and stuff to him and he just dont want to read them things from here, but wants me to explain them to him. Such a pain in the mind that one. Or maybe he is just not so into that stuff yet or at all. I think that plants are somewhat equal to animals, they may not have consciousness but they have feelings, they feel it on an unconscious level. Much like the root that screams when it is pulled from the ground in Harry Potter. Cant remember the name of it, but it is said so in the literature about that specific plant that it screams and should only be pulled out in a specific time of the year, month and a day, middle of the night if memory serves. For the plant to have most potent effect on some wizardry. I read it from this book "Herbal Magick - A Witch's Guide to Herbal Enchantments, Folklore, and Divinations «Scolder»"
You are talking about a Mandrake. But that is a purely hypothetical example you're talking about.